Teledermatology is a revolutionary method for delivering dermatology services, serving remote areas impartially and allowing dermatologist or primary care physicians to assist patients by referring them to nearby dermatology centers. Teledermatology can be conducted in real-time by two ways, utilizing video-conferencing equipment and by store-and-forward methods. Transferred images and videos can be stored with a clinical history of patient. 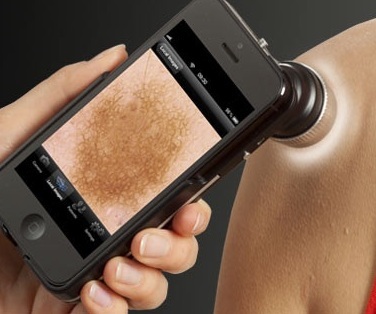 Real-time teledermatology can provide more clinical information of patient. Store and forward methods provides higher accuracy of diagnosis as compare to video assist consultancy and much cheaper for the health service provider, but takes more time in delivering diagnosis. Video-conferencing majorly is being used for the medical case conferences and for education purposes. Medical education is one of the major growth factor for teledermatology market. Medical universities or medical institutions started providing online based education, applications and computer based training programs for their students. Rapid developments in telecommunication sector like introduction of 4G LTE and further researches also provided various opportunities for teledermatology market. Teledermatology is largely adopted in developed nations to fill gap of cost-effectiveness and specialty care. Rising trends of online education and remote consultancy provided the boost to the market as many institutions such as Boston University providing online platform for online consultancy and education. Various commercial health consultancy companies are also playing important roles in providing diagnosis services world-wide. For instance, TeleDerm Solution, a US based company is providing cost-efficient teledermatology solutions to various health organizations and physicians globally. Not only to common people teledermatology is also being used in military aiding such as Moscow is providing telemedicine services to Azerbaijan and British armed forces providing Tele-medicine services in Bosnia. Teledermatology is more useful in difficult situations like its utilization in sea, prisons and moving ambulances. Vast utilization and benefits of teledermatology is the key growth factor for the global teledermatology market. Government initiatives to decrease the healthcare cost and to increase specialty health care is one of the major factors for adoption of teledermatology services and investments in telemedicine industry. Such government initiatives can be found in Canada, U.K and Saudi-Arabia. For instance, Canadian government announced the investment of USD 500 million to bring high-speed internet in 300 rural and remote communities by 2021. The initiative will bridge the digital gap and help bringing high-speed internet to institutions such as schools, hospitals and government bodies. Such initiatives will help the teledermatology to foster over the forecast period. Advancement of telecommunication sector and IT sector will significantly bolster the growth of global teledermatology market. However, lack of infrastructure and physicians is one of the major growth restraining factors. For instance, in India about 70% of 1.3 billion population is living in rural areas which lacks in telecommunication infrastructure and reach to physicians and virtually all the physicians resides in urban areas. Most of the Asian countries and Sub-Saharan countries have similar conditions which is hindering the growth of teledermatology market. The global telemedicine market accounted for USD 14.8 billion in 2016 in which teledermatology constitutes approximately 30% market share. Global teledermatology market valued USD 4.4 billion in 2016, is expected to expand at a CAGR of 8.7% during the forecast period i.e. 2016-2024. Further, the market is expected to reach USD 8.6 billion by the end of forecast period. Geographically, North America accounted for the highest revenue share in teledermatology market with 32% revenue share. Healthcare spending in North America is projected to grow at an average of 4.9 % annually in 2016-2020, which will aid the growth of teledermatology market of North America in coming years. North America is closely followed by the Asia Pacific region and is anticipated to be the fastest growing teledermatology market owing to rising expenditures over healthcare sector in countries such as Japan and China. Across Latin America significant growth can be seen owing to the increase in healthcare expenditures at an average of 4.6% annually over 2016-2020, several governments in Latin America to improve public health care systems.